No matter the time, the kitchen always seems to be the place where family and friends gather to relax, chit-chat and eat. But during certain times, like after-school, or during a favorite holiday, the kitchen can become jam-packed with cooks. As most of us have experienced, it can be nearly impossible to maneuver around the kitchen with a heavy pot of boiling water even if just one other person is in the room. Today we will provide helpful tips on how to plan and organize the layout of your kitchen - no matter the size - for multiple cooks. 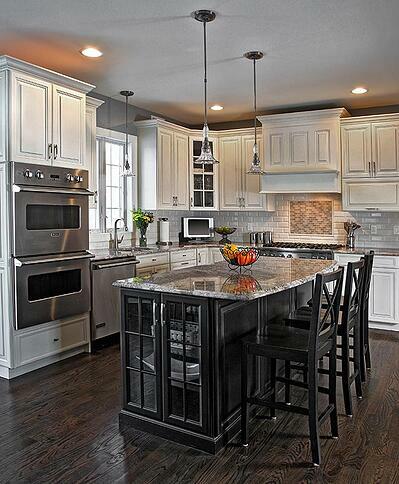 Smaller kitchens can quickly become crowded when more than one person is moving among the appliances. Incorporating pass-through openings in your small kitchen can encourage others to hang out and help during the cooking process. 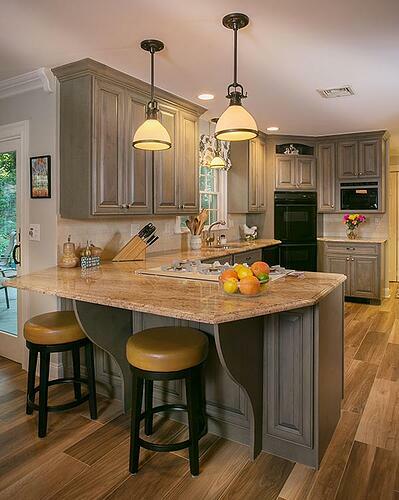 Installing an island is a great way to guide movement with prepping and cooking food. If you have a small kitchen that is open on one side, an island on the open end can help create a barrier between the dining space and the cooking space. This can keep injuries from happening in the kitchen, because it allows your guests to eat appetizers and relax in the kitchen while you continue to cook the meal. If a family member wants to lend a helping hand, they can easily walk into the working space. Keeping separated working and eating spaces in the kitchen are important to avoid over-crowding the space in a small area. In large or medium-sized kitchens, simply adding extra food-prep and workspace will double productivity and keep you from bumping into your mother in law as she pulls the turkey from the oven. The same general notion applies with larger kitchens as does smaller kitchens: room to move freely is the most important feature of your multi-cook design. For larger spaces, keep in mind that each individual workstation should have its own work triangle. This means that each cook should stand at the point of a triangular shaped space with her own prep area, ample space to move and the necessary appliance or sink area. 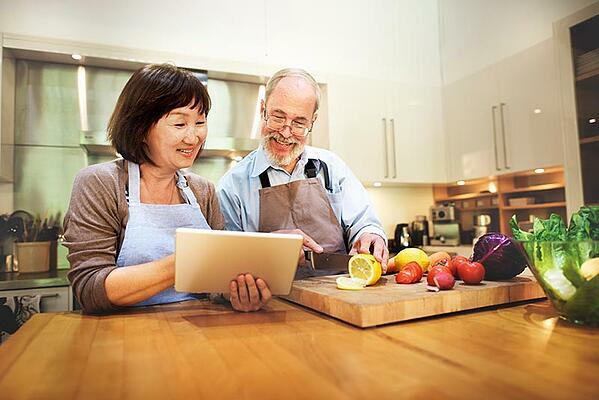 Major appliances can be shared among cooks, but adding an extra cooktop to an extended countertop or island can keep from accidents happening when multiple cooks are in the kitchen. 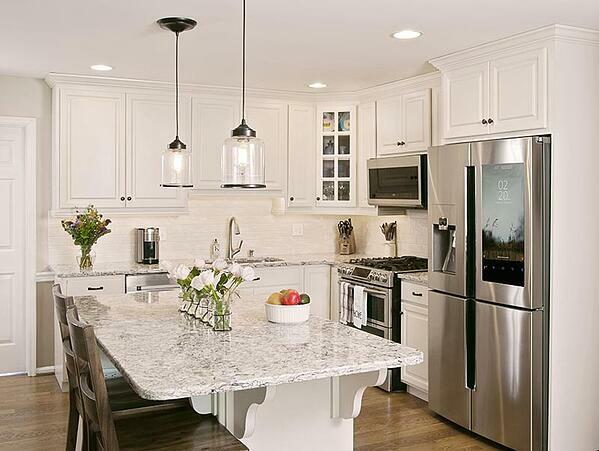 Another tip is to disperse appliances throughout the room. If you want to purchase another oven or smaller fridge, place one below a countertop or island, while leaving the other across the room. 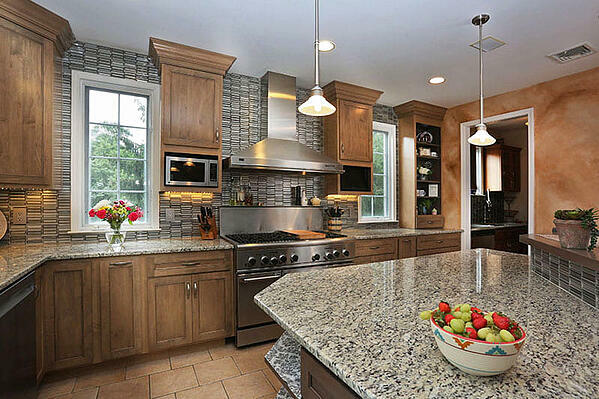 Take advantage of the free kitchen design inspiration tools available to you. 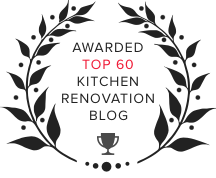 First of all, subscribe to our blog if you haven't already because we do have the 3rd best kitchen design blog on the web! Other great resources available to you are Houzz, HGTV, and Pinterest. If you are in the early stages of planning your next kitchen layout and design, you might want to visit our Kitchen Remodeling 101 page for a user-friendly, step-by-step action plan to guide you through your next remodeling endeavor. These days, with all of these resources openly available, you don't need to be a professional designer to create a breathtaking kitchen design! We do offer professional design advice though, free of charge! 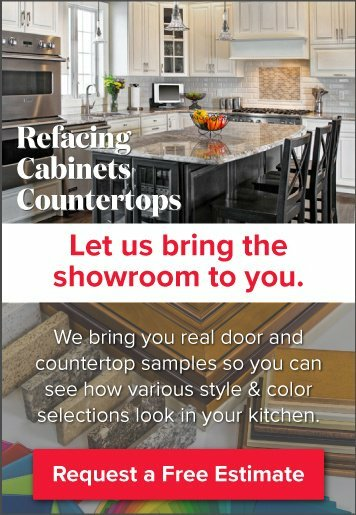 So, when you ready to get started with your kitchen project, schedule a free in-home design consultation, and we will bring the showroom to you. There's no better way to view samples that in the comfort of your own home, where you can see the exact colors as they will look in the lighting of your kitchen.